The 4th of July may come and go, but for today’s more sophisticated buyers it is always Independence Day. However, research suggests that sellers may well benefit if they stop trying to control the buyer. Buyers have declared their independence. Just listen to buyers – sellers are not in control, nor should they be! 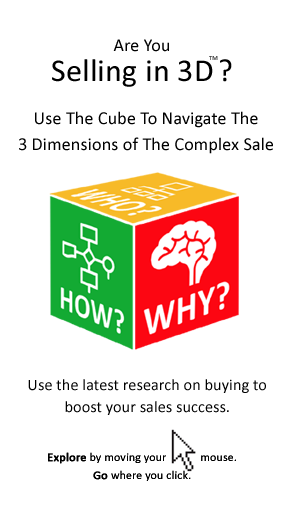 It is time salespeople gave up on the false idea of controlling the buyer. After all, if the buyer is not in control then the project is unlikely to get approval. Indeed, if the buyer is not in control then they are by default not senior or experienced enough to be taken seriously. However, the perceived loss of control by the seller may have a surprising positive side. Here is why: when people give up on the notion of controlling others, they tend to be better at empathizing with them. More important still they are in a better position to adopt the perspective of the other person. Both empathy and perspective taking have been linked to improved negotiating success. But feeling for the buying may not be enough – taking the buyer’s perspective is the most powerful of the two. Taking the buyer’s perspective and imaging what the other side was thinking improves negotiation success. That is according to research quoted in Daniel Pink’s Book ‘To Sell Is Human’. In the research by Galinsky and Maddux at INSEAD, it helped 3 out of 4 participants to negotiate a deal that was better for both sides. Perspective taking is a more cognitive activity than empathy, which has a strong emotional element, and that may be why it is the more powerful of the two. For the seller control is a dangerous illusion. This illusion is all too evident in their off-the-shelf sales proposals and clumsy closing techniques that alienate buyers, as well as a variety of dangerous assumptions that lead to surprises, sales cycle setbacks and unreliable sales forecasts. The balance of power has shifted, with the seller reluctantly ceding control to a more sophisticated and cynical breed of buyer. Buyers know they have the power in a market where suppliers out-number customers. They are increasingly confident and assertive in dealing with vendors. In short, they call all the shots. They like to be in control and stay in control. That means they start to elicit the requirements, build the business case and define the solution well in advance of meeting vendors. Increasingly, the buyer’s philosophy is ‘if you don’t manage the vendor, the vendor will manage you’. 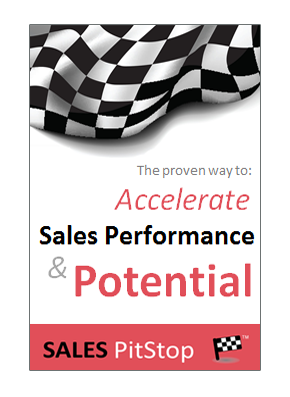 As a consequence the salesperson is increasingly left on the outside looking in. The seller is no longer ‘the ringmaster’ of the sale, often being reduced to the role of a mere spectator. This is particularly the case where buyers are turning to the competitive tendering process (i.e. RFPs, RFIs and RFQs) to keep suppliers at arms length during the selection process. As sellers let’s recognize and indeed celebrate the new rights and freedoms of buyers. Then let’s adjust our sales approach accordingly.